Eugene "Gene" C. Miller has 30 years' experience in both personal injury defense and as a Plaintiff's attorney. Prior to joining the firm in 2010, he spent 25 years defending cases as the Managing Attorney for the office of GEICO Staff Counsel before choosing to represent victims of catastrophic injury and medical malpractice. Gene has extensive inside knowledge of insurance coverage issues, company policies and procedures. Since joining the firm and becoming a Partner in 2012, he has employed his unique perspective to offer valuable insight and experience critical in determining the best strategy for case negotiations, mediations, arbitrations, and trials, earning success for our clients and their families. 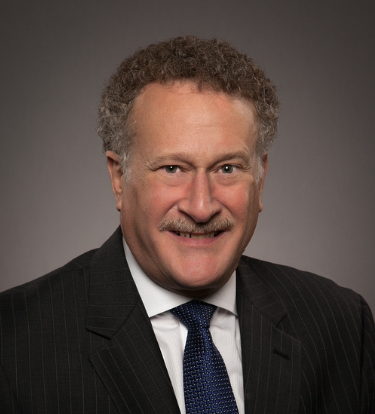 Gene has extensive experience in personal injury litigation, having tried more than 180 jury trials in the various courts of Northern Virginia, including Federal Court, and in Washington D.C.
Gene obtained a B.S. degree in Business from Virginia Tech, graduating with honors, and his J.D. from George Mason University School of Law. During Law school, he was on the Jessup Moot Court team and interned with the Fairfax County Office of the Commonwealth’s Attorney. He also attended the Summer School of Law Program at the University of Exeter, England, sponsored by the Marshall Wythe School of Law of the College of William and Mary. He has been rated AV Preeminent® by Martindale-Hubble for over ten years due to his high ethical standards and professional ability. Gene is active in the Fairfax Bar Association and is on the Circuit Court Committee and the Law Related Education Committee. Additionally, he volunteers his time to speak to at-risk youth from local high schools and conduct court tours for middle school students. Gene grew up in Fairfax County and currently resides in Loudoun County. He has four children, Darlene, James, Kaitlin and Brittany, and three grandchildren, Briar, Skyler and Kieran. He is an avid bicyclist and kayaker.